3D CAD with Autodesk 123D shows you how to jump into the world of personal fabrication without costly or complicated tools. 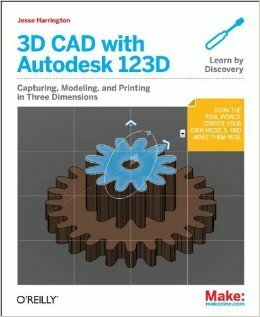 Author Jesse Harrington Au teaches you how to use Autodesk's free 123D tools to design, sculpt and 3D print objects with ease. Learn how to use your iPad or camera to 3D scan and how to create real-world objects with 3D printers or laser cutters. A step-by-step guide walking you through the process of choosing and assembling a 3D printer kit. Comprehensively illustrated this book covers crucial details other books skip. 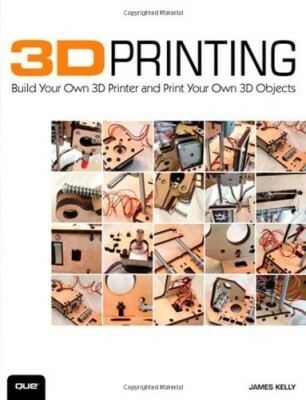 This book teaches you how to get started in 3D printing using a MakerBot printer. The authors show you how to set up your MakerBot, the basic principles of 3D printing and how to get to your first 3D print. The book also covers solving real-world problems either by downloading free models online or by designing your own objects using some of the common 3D modeling tools. Technology of home 3D printers is changing at a rapid pace. 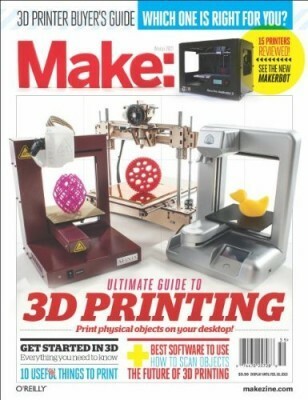 Make Magazine's 'Ultimate Guide to 3D Printing' is here to help. This edition of the magazine is dedicated to 3D Printing and is definitely a great resource for information on the latest printing technology, reviews of printer models, their prices as well as suggestions around materials and peripherals. MAKE Magazine is a quarterly publication that focuses on projects aimed at a heavily tech-influenced DIY community also known as the Maker Movement. 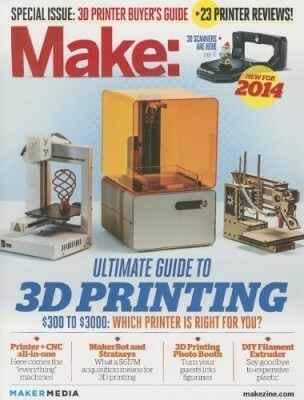 In this Winter 2013 edition, the MAKE team reviews 16 of the top 3D printers by putting them thorough tests. Results are presented clearly and in easy terms, understandable also for beginners. Apart the detailed buyer guide, the magazine also features an introduction to the field of 3D printing, an overview of 3D printing services, 3D software, scanning software and a few 3D print projects to realize at home. 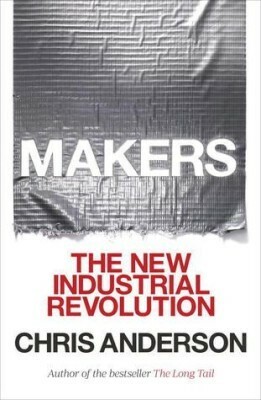 In Makers, author Chris Anderson takes you right into the heart of a new industrial revolution that has started to happen. Open source design and technologies such as 3D printing bring manufacturing to the desktop thereby enabling everyone to invent. Anderson believes that a generation of Makers is about to unleash its collective potential leading to the next big wave in the global economy - the 'long tail of things', an age of custom-fabricated, DIY product design and creation. 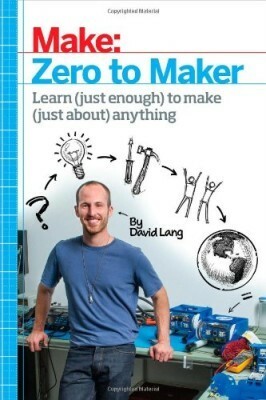 In 'Zero to Maker' Author David Lang shares his story on how he lost his job, entered the Maker world, and started OpenROV - a DIY community. Lang provides advice for designers and aspiring inventors on how to navigate the Maker world, how to find the best making resources and how to equip yourself with the skills to become a maker in your own right. 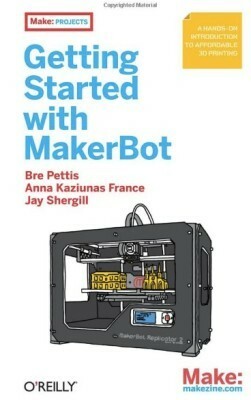 An excellent guide for anyone ready to join the Maker movement. In this practical guide, Sylvia Martinez and Gary Stager provide educators, administrators and community leaders with the how and why of classroom making. 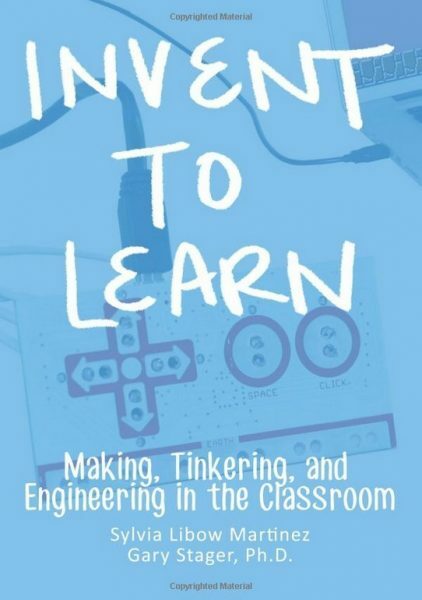 This book is a great and practical resource for educators who want to turn their classroom into a makerspace where kids can learn through engaging, hands-on projects that encourage creativity, tinkering, and making. Whether you have access to technology such as laser cutters, 3D printers, and CNC machines or common materials such as cardboard, aluminum foil, and paint, this book is filled with examples from makers and teachers that help you turn your students into creative, life-long learners. Invent to Learn is an invaluable resource for both new and experienced educators who want to grow professionally. 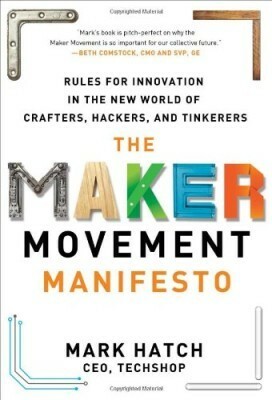 The Maker Movement Manifesto takes you deep into the movement. Author Mark Hatch, co-founder of TechShop, describes how the latest advances in technology have given ordinary people the tools to design extraordinary products, often leading to new business ventures. Hatch explains how individuals can now create, innovate and make a fortune or drive societal change - with nothing other than their creativity and some hard work. 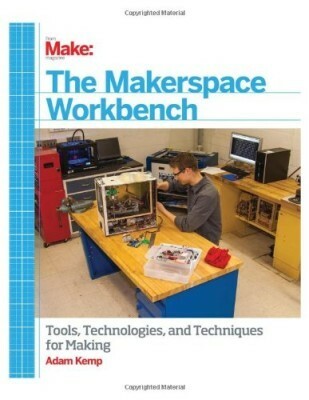 The Makerspace Workbench is an illustrated guide to setting up a dynamic work space, a Makerspace, for your DIY hardware, electronics or programming projects. Author Adam Kemp focuses on the benefits of having a shared space and tools to attract fellow makers who will enrich your making experience through collaboration and knowledge sharing. No matter whether you are a hobbyist, educator or community, this book teaches you what tools, software, materials and shop layout you need to get started.